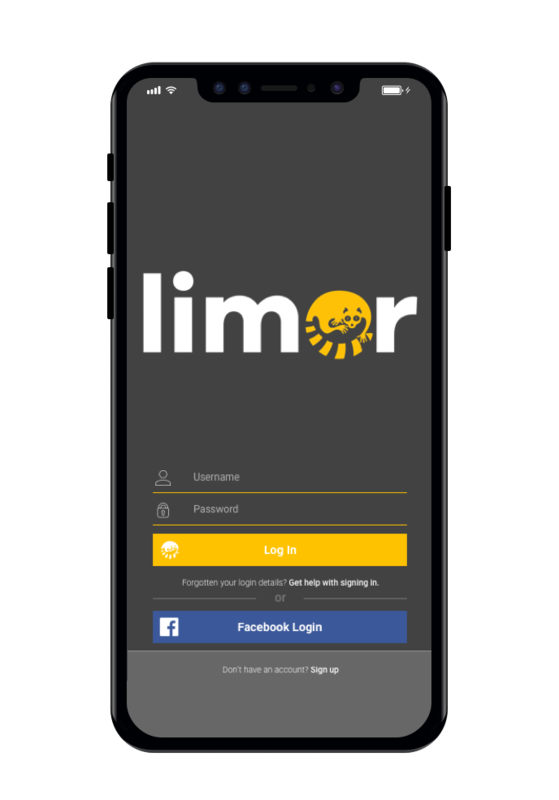 If you have just downloaded the Limor App hit the 'sign-up' button at the bottom of the screen to create a new account. Existing users can login using their facebook login details or their Limor account username and password credentials. First time users must create a unique Limor account. Enter your credentials in the text fields and add a profile image by pressing the + button. Review your Limor profile page. To make changes or edit your profile information click on the yellow gear icon on the top right hand corner of the screen. Here you can add social media links, a website url, and a personal bio to let other Limor users know who you are and learn more about you. 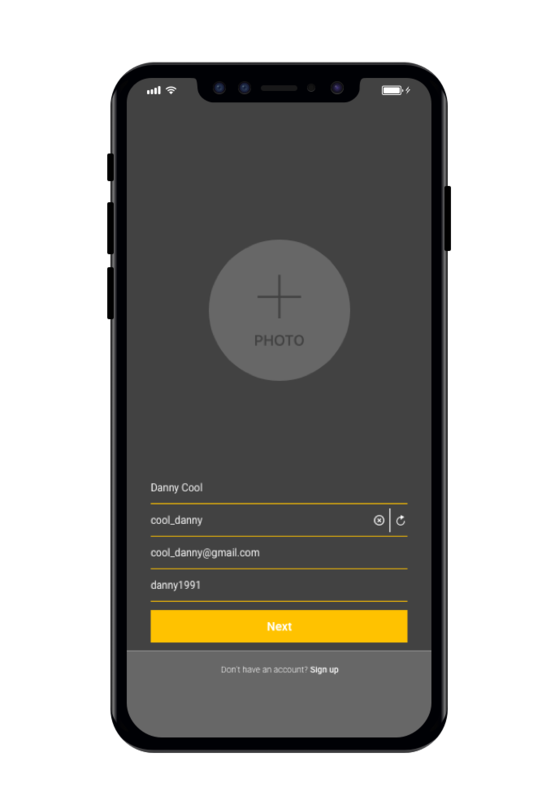 Start adding friends and exploring the app using the yellow add friend icon in the top left corner of the screen. Now your profile is setup, its time to explore the Limor app. Discover a world of social audio by navigating to the 'Discover' page. This page is the heart of the app and epicentre of activity. Recent casts and trending tags will appear here to help you filter through the best audio content so you never miss a thing. Use the search bar at the top if you know who you are looking for and head directly to your chosen content. Review all the latest social audio content posted by users you follow and by users who follow you. Click on the yellow arrow in the top right hand corner of the cast image to play each cast. Navigate the app while continuing to listen to audio content. Comment, Like, or re-cast audio content you like or bookmark and listen to it later. Got something to say?! 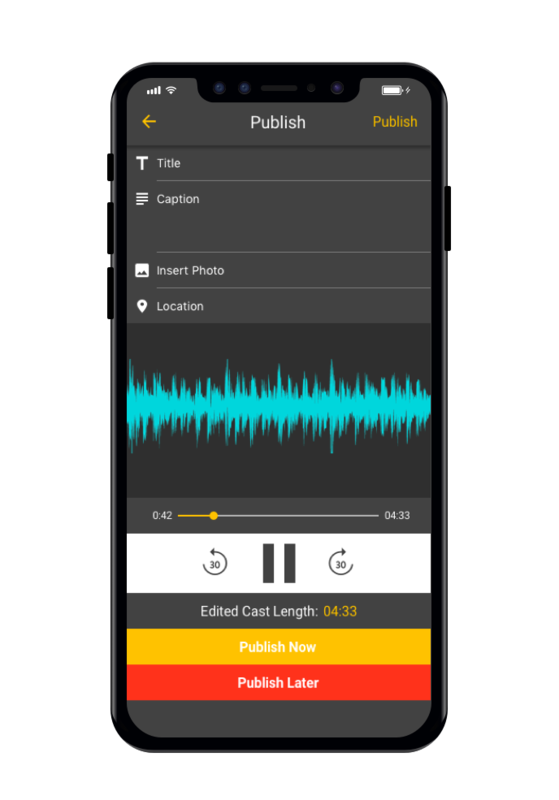 Why not record your first social audio cast, or maybe you want to record a longer and more traditional podcast. Click the record icon on the main footer menu and open the recording function. Hit the microphone and start and pause to stop. You can stop and start recording at anytime and Limor will seamlessly join the recordings together. Colour coded editing software helps you accurately trim and edit audio recordings to help you produce the perfect social audio cast. The coloured markers indicate the audio which will remain (remove and) while the areas not covered by the coloured markers will be removed. Preview your edit by pressing the preview button located in the bottom left hand corner. Publish now - The cast will be published on your profile and be visible on the home feed to all your followers. Publish later - save as a draft and edit and publish later. And thats it! 10 quick and easy steps to help you get started on the Limor app. For more information visit our FAQ page or "contact us".